Sticky pads or sticky tac. 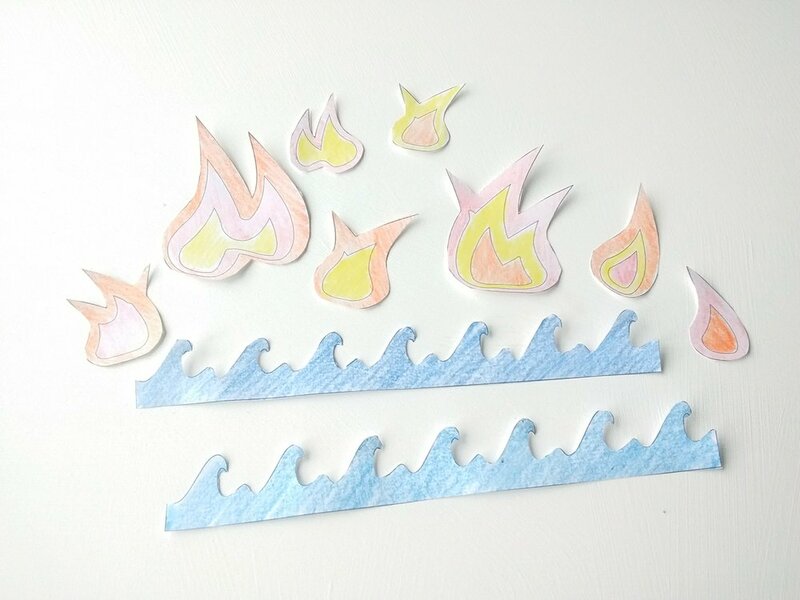 Print or photocopy the flame and water shapes. You may want to cut out the shapes for the younger children in your group. 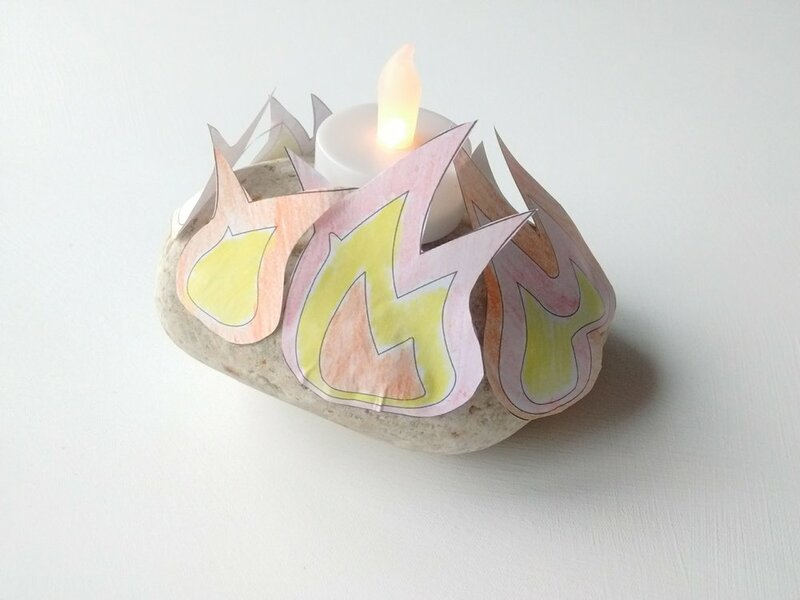 Follow the instructions to make an example ‘fire stone’ so the children can see what they are making. Briefly talk about where the children might see flames. Use this opportunity to remind the children that they must not play near fires and never touch matches or lit candles. 1. Cut out and colour in the paper shapes. 2. Place a sticky pad or sticky tac on your stone. You will need to place it on the flattest part. Switch on your battery tealight and stick it to the sticky surface. Stick the flame shapes to your stone using the PVA glue. 3. Stick the water shapes to your stone using the PVA glue. To turn off the light you will need to lift the tealight off the stone. Replace the tealight once it is switched off.